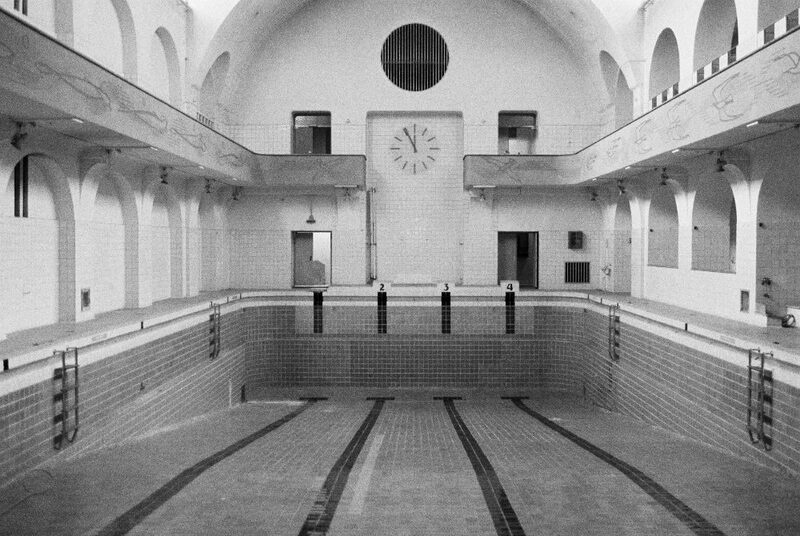 The Volksbad (peoples bath) in Nuremberg was build between 1911 and 1913 and is a beautiful art nouveau building. The construction cost approximately 1.8 million Reichsmark. It’s opening was on January 2nd, 1914. 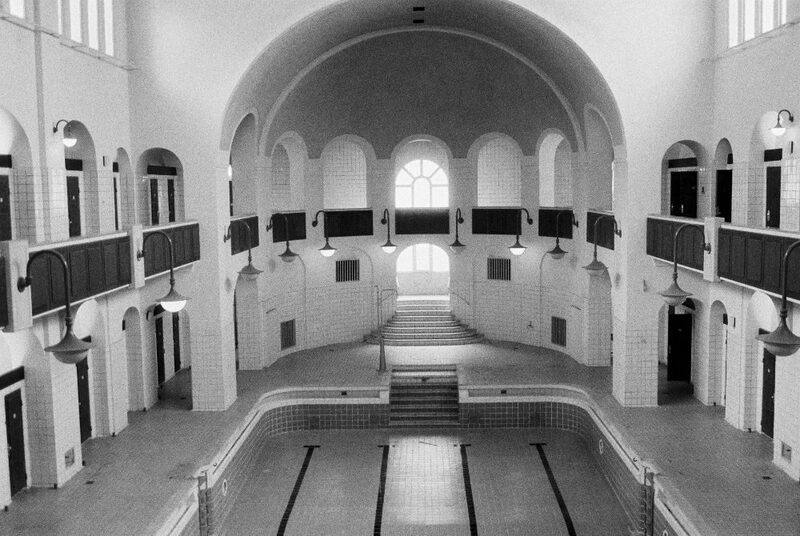 The bath consisted of three indoor swimming pools, 66 bathtubs, 14 showers, a steam bath and barber rooms. During World War I it was closed for three months. In World War II the bath became heavily damaged. The reconstruction was finished in 1959. 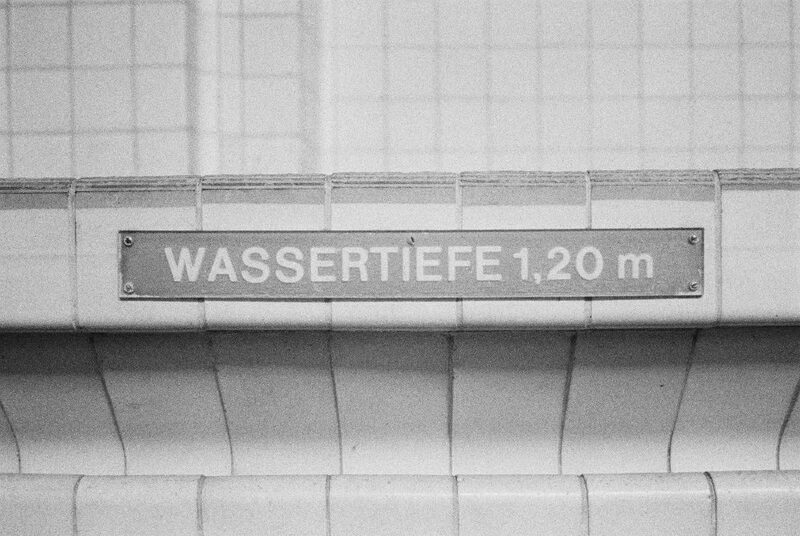 The Volksbad has been decommissioned in 1994. There were several attempts for a new utilization but none was been successful so far. 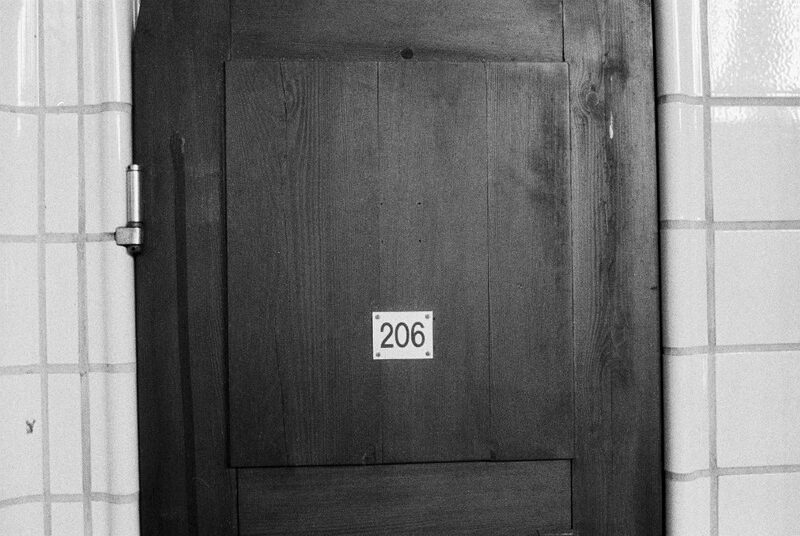 Photographers often rent the lost place as shooting location. 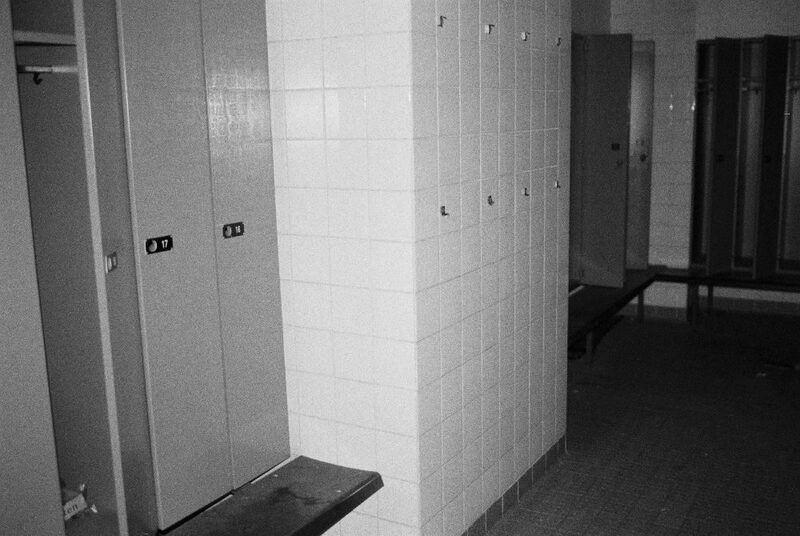 Such a shooting day enabled me to grab a few pictures of the bath on Ilford Delta 3200 film. I like this wonderful building. 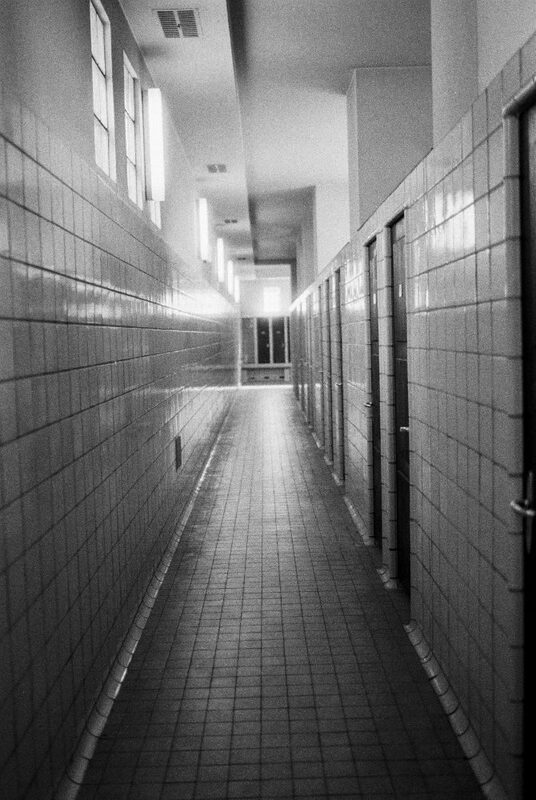 Hopefully, Nuremberg finds a way to reopen it as a bath, soon. Parts of the building already wear but it is still in a good condition. But that can rapidly change if it will not be renovated. And it would be a shame no loose such a jewel of a building.